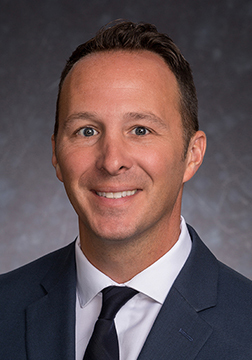 Binghamton, N.Y., January 24, 2019 – LeChase Construction Services, LLC is pleased to announce the appointment of Adam Green as regional operations manager in Binghamton. In his new role, Green will work to expand LeChase’s business in the region, with responsibility for managing client, employee and subcontractor relationships; overseeing daily operations; and ensuring projects meet or exceed client expectations. Green has 20 years of construction experience, working as a laborer/carpenter, superintendent and project engineer, and later holding positions in estimating and project management. During his career, he has worked on a variety of education, health care, energy, municipal, hospitality, retail and commercial projects. He joined LeChase as a project engineer in 2006, later becoming a project manager. He was named a project executive in 2011. Green has a B.A. in liberal arts and mathematics from Lycoming College, and has LEED AP® certification from the U.S. Green Building Council. He lives in Binghamton with his wife Joette, and has two children, Calie and Maddox.